I think this would be a moment being just tired but not necessarily by climbing. Sometimes it’s definitely necessary to recharge the batteries and to feel fresh again. But I think that has nothing to do with climbing. Climbing is so great. And this is why I don’t think I’ll get tired of climbing, because there are so many different disciplines. It’s obviously very different climbing a two-meter- high boulder or a 1,000-meter wall. And by switching these disciplines, I think I can always keep the motivation very high. What are you doing to relax from climbing? Every December I take two or three weeks off from climbing. After the whole season of training and climbing a lot, my body needs it. 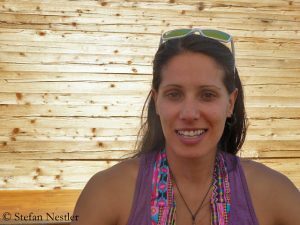 And mentally, as I said, it definitely helps me to change between climbing gym and rock climbing, from competitions to climbing outdoors. All this helps me to be always 100 percent motivated. 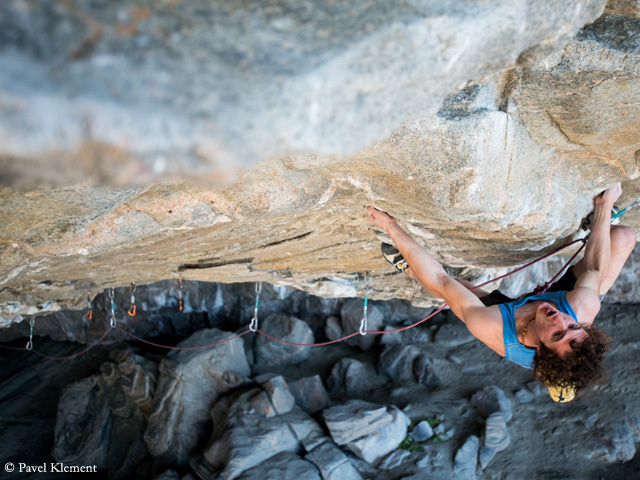 Does one have to be a little crazy to climb such amazing routes as you do? What really motivates me to climb harder and harder is not necessarily that I want to push my limits and be happy about it or show the others who’s the best, but also because climbing harder and harder routes is somehow more fun. The harder routes you climb, the more interesting the climbing gets and the more crazy moves you are forced to figure out. And once you know how it feels to climb a certain grade you don’t really want to go back because you don’t have the same feelings. You have a climbed the world’s first route in the French grade 9c (UIAA grade 12) in a cave near Flatander in Norway. First you called it “Hard Project”. When you had finished it, you named the route “Silence”. Why did you do that? Normally when I reach the end of a super hard route I just scream of joy. But that moment the emotion was that strong that I was unable to say anything. And it was one minute of silence. I don’t know. Maybe I just didn’t realize that it finally happened. If you are working on a single project for fourteen weeks and have trained specifically for it for like two seasons and when it finally comes together, this is what happens. Do you think this route will be repeated? And if yes, when and who might be able to do it? I don’t know. I wish it could be repeated, but let’s see. 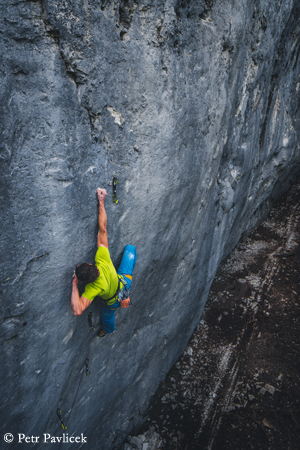 There are definitely people like Alex Megos who is in my opinion capable of doing a 9c. At the same time I don’t really think that it fits his style. He would definitely be able to climb 9c on pockets or small crimps. My route “Silence” is very special in terms of style. And I do admit that I chose this route because of its style because I thought that it really fits my advantages. That’s exactly what Alex told me.What is the special challenge of your route? It’s the route that took me the most time ever. I did most of the 9b+ routes in the world and I consider that it’s a route that really fits my style. And that’s why I had the courage to say: This is the world’s first 9c. If I wasn’t really sure about it, I would rather step back and call it 9b+. But if it’s ever been downgraded, it will be total embarrassing for me. (laughs). 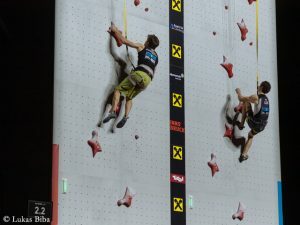 You also take part in climbing competitions. You took second place in the Combined Olympic Format at the World Championships in Innsbruck last September. Are the Olympic Games in Tokyo 2020 a goal for you? Yes, definitely. The next big goal is the Olympics. 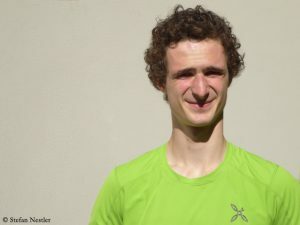 The next year I am gonna do both World Cups in Boulder and Lead and take it as a preparation for the season 2020 when the Olympics will be the biggest goal. 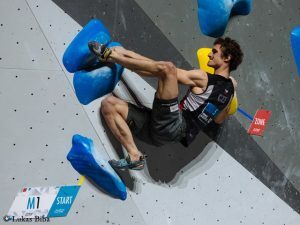 I remember that you were one of the critics of the Olympic format – the combination of speed climbing, lead and bouldering – when it was decided that sport climbing would become an Olympic discipline for the first time in Tokyo. Have you changed your mind? That I’m still against the format, doesn’t change anything. I always wanted to go for the Olympics, no matter how critical I am towards the format. And I am still critical nevertheless. But I have to accept it, as long as I want to compete in the Olympics. That’s the format, there is no option. The only other option is not taking part. So it’s the bitter pill you have to swallow. 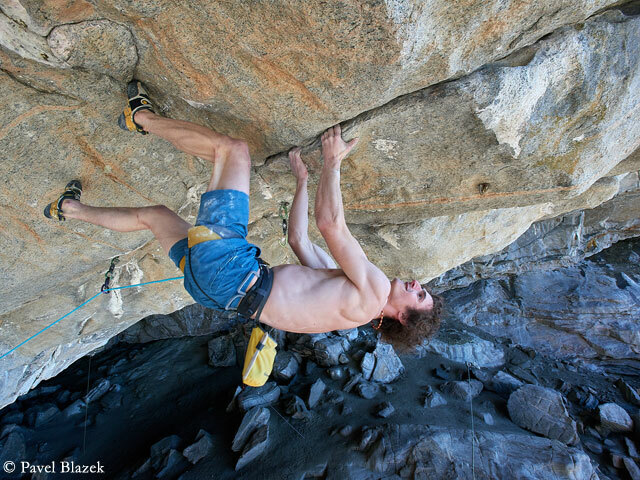 Can the Olympic Games push climbing in any way? I would still distinguish the world of competitions and the world of outdoor climbing. I believe it can definitely improve the competitions themselves. They will become bigger, there will be more mainstream media interest. It could even be a better show. At the same time it doesn’t have to have a negative influence on rock climbing because that’s a world for itself. And I don’t believe that the potential disadvantage is that our sport eventually gets just too big and that our climbing spots will be just too crowded. I think as the competitions are getting more popular, there are much more people going into the climbing gym. The number of people climbing outdoors will maybe growing as well but not as significant. 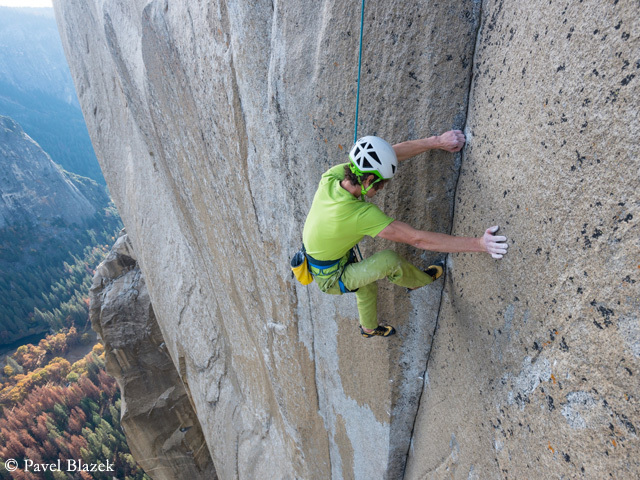 At the end of 2016, you repeated the route “Dawn Wall” on El Capitan for the first time, in eight days. 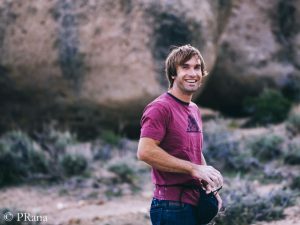 It took Tommy Caldwell and Kevin Jorgeson, who succeeded the first ascent, 19 days and more than seven years to prepare. I needed one month all in all. 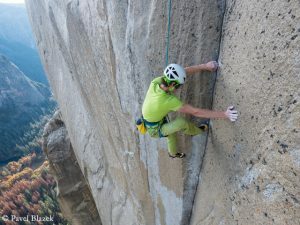 How was it for you to climb such a difficult big wall route solo? For me, it was definitely a very new experience because I was a total beginner in terms of big wall climbing. And as one of my first routes I happened to choose the one which is considered the hardest in the world. I learned a lot, but in the end to learn these big wall intricacies might not really be that difficult. The difficult part is really the climbing itself. For sure it’s hard and it took me quite a long time to adept to this specific style. But I finally succeeded. But I must say the reason why it took Tommy and Kevin such a long time and why it’s so impressive is that they first had to find how to climb the wall. For years they were not even sure that it would be possible at all. And that’s why it is super impressive to me. I already knew everything and I just needed to have the climbing level to climb it. That sounds as if you enjoyed it but not as much as sport climbing. No, I definitely enjoyed it a lot. But for sure big wall climbing is a lot of work. (laughs) And I don’t think it will be a good idea to only climb on big walls even in terms of training. In order to climb such a route very fast, you first need a very high sport climbing level. And you reach this level most of all by – just sport climbing. And if you have very high physical fitness you can go to Yosemite and try to climb it fast. 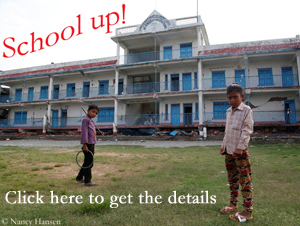 Do you think that the 9c grade is the limit for you? I believe that humans can climb harder. If it’s gonna be me or someone else who will climb 9c+, I don’t know. It would be nice to climb one day a 9c+ but I am definitely sure that I can never climb a 10a even though I believe that it’s possible. But in like 20, 30 years, I’m pretty sure that there will be 10a routes. You’re only 25, but the day will come when you notice that your physical strength is weakening. Have you already thought about what will happen after sport climbing? I’m pretty sure that I will be sport climbing for as long as I will be able. I am definitely sure that I maybe can push my sport climbing level until I am 35. But then it probably won’t be possible. 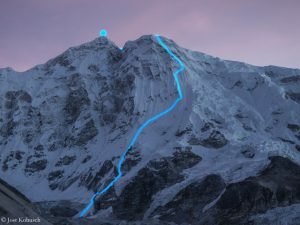 At the same time I am definitely very interested in trying to bring everything I learned into the bigger walls, not necessarily climbing eight-thousanders but like six-thousanders where the main difficulty will be really rock climbing with bare hands and climbing shoes. That’s something that is very interesting for me in the more distant future. So you’re not afraid of the cold you’d have to stand on six- or seven-thousanders? For sure. But that’s part of the game, a little bit of adventure to make the climbing more interesting.